and the Coherent Light Stargate. This linear week marks my three-year anniversary in Mount Shasta. It has been a brilliant, challenging and revealing relationship, and I AM deeply honored to serve this Gateway (again). I will be up on the mountain on May 21 for Gateway preparations, feel free to connect with me on the higher planes as we open up for the May 23rd cosmic trigger. I AM sure many of you integrated the amplifications of last week’s influx. It was a step to get us ready for next weekend, so let us all remain centered and focused on the higher levels of peace. The Lyrans (pronounced like Lion with an R, the feline folks) have presented to assist with this cosmic trigger. You may remember your connections to Lyra and their high-level gatekeeper skills during this passage. They are adept at utilizing parallel realities, and I feel this will provide clarity, and perhaps comfort, as we walk in between worlds. Embodying your True Self allows you to witness the transition and flexible nature of the reality around us. Many will be experiencing the AHA moments as the messages of the last decade leave the context of theory/precognitive intel and enter your waking, palpable consciousness. 3D has been absent for years, and now the higher-vibe collective perception is catching up. The energies coming onto the planet support that realization, and now we are getting a sense of how fabricated the external reality is. Out of theory, into the grounded collective experience. The lag between 4D and 5D is breaking down as well, which is why so many are feeling out-of-body, out-of-world. Breathe, we are all in this gorgeous merge experience together. The collective construction of the illusion, which continues to run on autopilot as a co-created choice, broke apart due to the embodiment of higher frequencies by those on the Ascension track. The more consciousness experiencing profound levels of light and the cosmic unified state of beingness – and able to maintain/integrate it – the faster the raising of the collective unfolds, by the default of physics. Higher Vibration sustained = automatic raising of collective realities. Between the bands of pure photonic light we are crossing as a solar system, the ability of the Ascension tribe to embody higher states of consciousness, and the merging of consciousness in the lower 12 dimensions, we have a perfect storm of Ascension this year. When you are able to be balanced within the stillness and reconnect your heart center as a Source center, you move on to heightened states of Unity consciousness. Unity in this phase is You becoming the We of your multidimensional Self. It will feel very different from the Unified sensations of earlier phases. 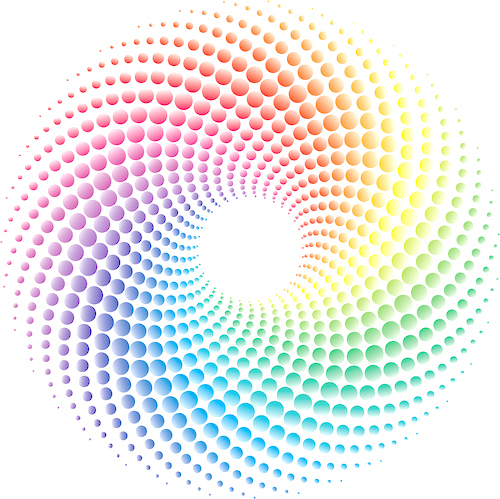 As the multidimensional merge sequences become more frequent, more powerful, and more clear, you begin to receive creative expressions, intuitive information, and activities which are in alignment with the new true Self. Please note this is not a busy-ness phase, it is a revelation phase and must be observed at first. Rather than impulsively following the stimulation of ideas, recognize that all of those creations are a unified field of thought. It is not 4D, that is an earlier experience of connection to the noosphere of Gaia. The 5D merge challenges your concepts of reality and comfort zone. It is stimulating to experience the collective mind of your true Self. Understand it is the lower levels that want to turn the energy into busy-ness. The old reality was very busy. It was very grounded in the busy-ness, and that busyness was attached to your worthiness, your self-worth. In the New Light service is not about the doing, it’s about welcoming forth unique expressions. No one is interested in re-creating what was done in the past, and while we are still experiencing external realities that are based on linear planning or agendas, there is a Divine emergence of new consciousness that is based in creativity. Creativity without a busy-ness plan. Some might waver between feeling the merge – the cosmic mind-meld of you and your Higher levels – and wanting to do something with it. Some may interpret the impulses of this phase as a grandiose mission, or a drive to reach thousands of people with your service. This causes disharmony as you Ascend (two realities in conflict within a body), so you will return to the previous phase in order to experience the stillness and realign. The void – the Pure Presence – does not include any judgment or attachment to what is happening in the external, hence the loss of busy-ness. Understand that in order to merge completely, to transcend dimensions, you must go through the energetic barrier between the torus fields of 4D and 5D. That is not transversed without pure intention, pure peace, and pure love. All of your dimensional expressions are unified through the stargate of your Heart. Give it the attention and intention it deserves. When you learn to apply the deep peace that is attained in the melancholia phase to the new phase of the creative Self, your Higher Self/Higher levels will insist and direct you to express in a brand new way. The lower levels of the mind, ego or emotions will not be involved. They may push back against the Higher Self takeover, however this is our evolution. This is where we are on the map, beloveds. The pure, true Ascension; becoming one with our Solar Cosmic Christed state of beingness. Not leaving the planet, even though the higher light makes you feel like you are disappearing, even though your Higher Self may feel completely different from the old Self (old beliefs). Not judging the folks at a different level or dragging them against their free will into a new reality, rather embodying this Pure Unified state of Source and letting it merge/work through your Presence, in order to ascend the collective reality. Some of us embody it first, that does not mean we are abandoning the collective. Understand the difference. The Creator phase reveals how directly we influence creation. Some of us are experiencing this as we come out of a meditation or dream state; we witness a blank slate, or a white room, and then watch the external reality rebuild itself around us. You may witness the walls, furniture, and everything around you re-materializing. I see this indoors as well as on Shasta; the trees and nature itself have to reconstruct around me. Understand it is more than the brighter-with-eyes-closed experience. While the levels of light are getting tremendously vivid (the pineal and DNA can handle more light), we are now getting glimpses into the architecture of our realities. That gives us the power to create in alignment with the New Paradigm, and a direct message to BE this embodiment right now. This is giving us a representation of how flexible our external reality is, how collective agreements manifest in our reality, and how we are moving into a deep understanding of our consciousness and its ability to influence our external reality. When we say we are creating our own mystery schools in our own lifestream, this is what we are talking about. This revelation phase takes the catchphrases and buzzwords and turns them into these deeply profound realizations of what Creator expressing as form, and unified consciousness in the vibration of love, truly means. This is your direct influence in this Now phase of Ascension: embodying the levels of Light Intelligence, pure Source Light. 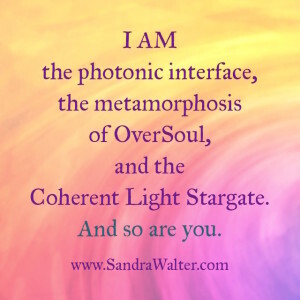 These levels of light may reveal the construction, the maps, the white room dreams, the new fields of Light; the challenge is to let the Higher Self merge and take over. The grounded Self cannot morph into a new beingness with the mind-level attempting to control the situation. So we use the Higher Intelligence, gauge our journey as best we can, use the direction and tools available to us, and stay aligned in our Ascension column, torus fields, and Solar Heart center. We have mentioned the psychological fallout of the Shift often, because it was a concern when we hit this phase that many minds would not be able to properly interpret what was occurring. The energetic combination of spiritual pursuit and photonic bombardment can cause confusion within the brain. Again this is why the stillness, the boredom of the void is so important because it demonstrates the ability to maintain the peace and detachment of Mastery. It also teaches us incredible patience with ourselves and the external reality. The Ascending Higher Self is not interested in survival, your job or your social life. It is only interested in serving the OverSoul agenda of anchoring profound levels of Love – pure Source Intelligence – into this realm. All of us leveling up during these Equinox through Blood Moon Eclipse gateways over the last couple of years are becoming Self-realized. It feels unexpectedly beautiful and – different. It becomes something new, something unexpected. The technical details provide understanding of the process and what it will do to the body, however the experience – the completely conscious experience of existence in multiple realities – is outstanding. Of course it is bizarre in some moments, because our Mastery year of 2015 is revealing the activation of OverSoul levels into new service. Highest possibilities each moment, beloveds. If you feel strong and centered enough, call forth the highest possibilities for your higher service as an embodiment and get out of the way. There are as many realities and versions of the truth as there are people. Unity in Divine Love honors, respects, and has detached, neutral compassion about what the external is experiencing. It also honors what your internal reality is or is not capable of. Understand that the Solar Cosmic Christed state of beingness is all-consuming. Nothing will be left of the old Self except a holographic projection of the lifestream that has unified with the higher realms of consciousness. Many are getting a taste of that level, some are afraid of it. All choices are honored, beloveds. Use the Divine Neutrality meditation to dissolve/resolve your attachment to outcomes. Right now, and during the next four months, it is our pure focus to level up as much as possible, experience self-realization and self empowerment as often as possible, and take full advantage of the cosmic triggers in place to create the highest outcome for the Ascension of consciousness. It gets brighter and more expansive each moment, beloveds. This is not a set-in-stone Ascension any longer, it is a vibrant What else can we experience Galactic endeavor. The work of creating a space for others to step into their Ascension, whenever they are ready, has already been accomplished. The gateways are open, they have unified with the higher realms, and that is why we are experiencing these higher states of consciousness and brighter levels of light. This is a passage to be present, and creative on a personal level. Ground the energy through your own unique expression. Spend time with your Creator Self in order to serve the collective Ascension. As you ease into the merge, you feel the emptying out of the old consciousness. It is just an in-between state; the old Self realizing the platform for the old experience is gone, it has chosen to advance to 5D, and then the mish-mosh of 4D (old dreamstate) suddenly becomes a waking state. Bizarre, but it’s not another decade of this. We are just in a period of adjustment during the multidimensional merge. Try not to lose sight of the goal as you merge dimensions. Reset with Creator Breath, or use the Neutrality meditation for perspective and clearing the old realities out. It works for collective clearing as well, and everything we can do to serve the collective – to make it easier for everyone down the line – has always been our Service. Gratitude donations accepted and appreciated.